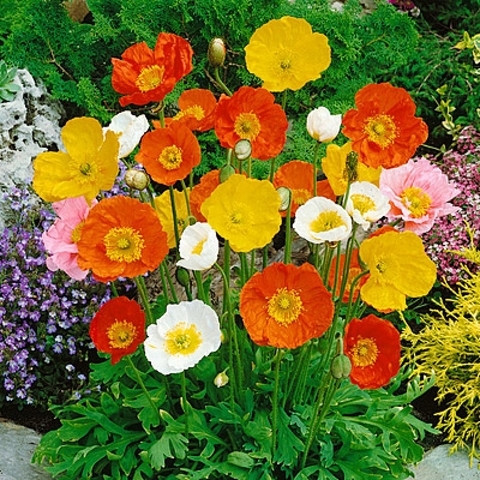 The Iceland poppies have large, luscious, crepe paper-like petals. 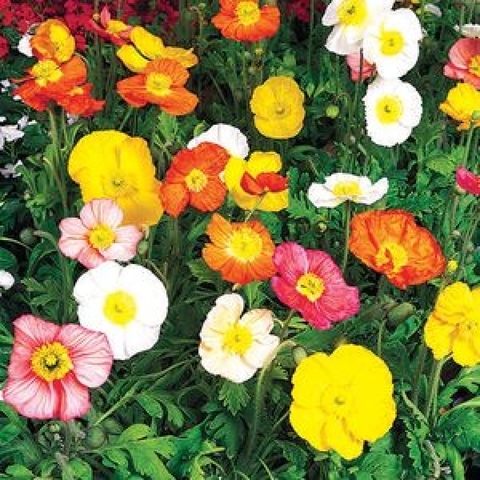 They are short-lived perennials that usually self-seed and come back year after year. Light is required for germination; do not cover the seed with germination mix or vermiculite after sowing. Moisten the seed flats and move them into a warm environment, where the temperatures can be maintained at 62-68° F for germination. 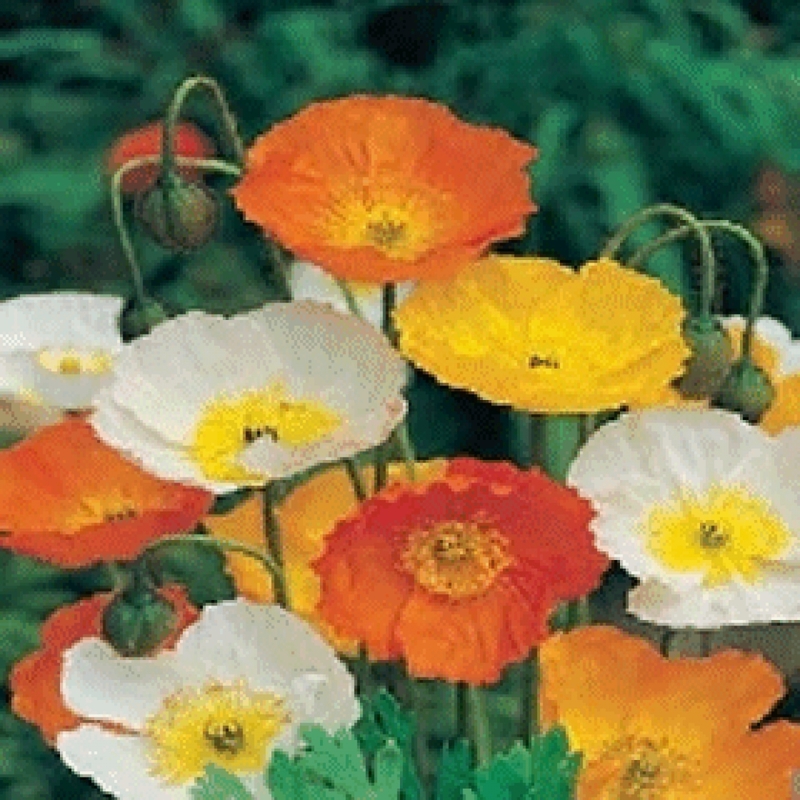 Keep the media slightly moist but not wet during germination. .
Iceland Poppy is commonly used in containers, patio pots and in small mass or border plantings. It can also be used as cut flowers. 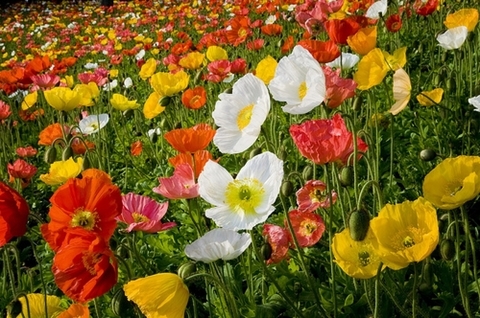 If planting en mass it will deliver spectacular displays of color during the blooming season. Color : Mix Color Yellow, White, Pinkish-Coral and Orange.